It’s National Fire Prevention Week! 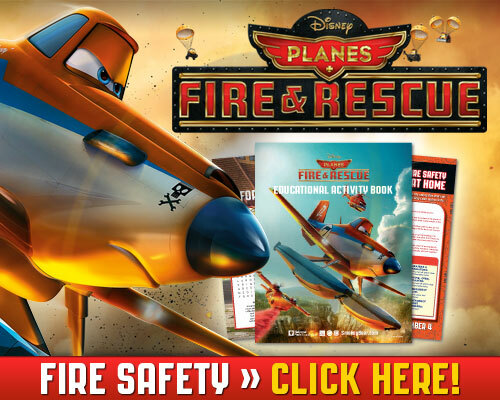 Helpful Tips with Disney’s Planes: Fire & Rescue! It’s National Fire Prevention Week and on behalf of Disney’s Planes: Fire & Rescue (on Blu-ray and Digital HD Nov. 4th), you will find below some helpful Fire Safety Tips! Learn how to prevent and protect your home and family from fire with a safety checklist, quiz, puzzles and more! Thanks for sharing the tips and fun activities! Wow,these are great tips and fun activities! Great tips! These are absolutely essential to learn. Thanks for posting this! My youngest had to watch for Dusty’s sake!